ESCAPE to YOUR PRIVATE WATERFRONT RETREAT! This CUSTOM Riverside Cottage w/ cedar shakes was FULLY RENOVATED from the studs in. Exquisite workmanship is the hallmark of this 2-bedroom, 2-bath home. Relish in a bright & airy open concept living area w/ hardwood floors, expansive waterfront views and pine tongue & groove ceilings or enjoy cooking in your kitchen w/ custom cabinets, ceramic tiled floor & appliances a mere 3 yrs. old. Full bath & bedroom w/ loads of character, custom-sized windows, hardwood floors and laundry complete the main level. Head up to the 2nd floor where you will find the comfort of a private master bedroom and 3/4 bath. 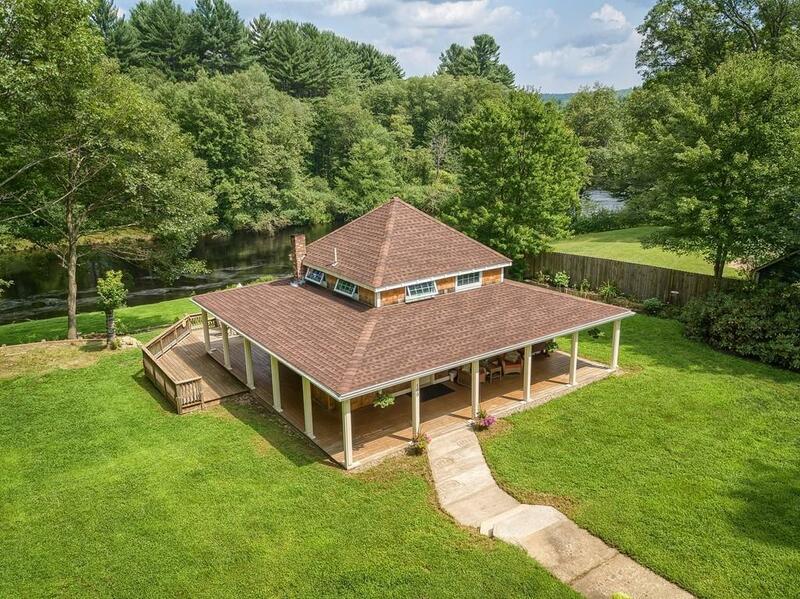 But its outside where paradise awaits w/ a wrap-around porch and a sprawling yard w/ 190 of water frontage perfect for kayaking/canoeing in a 6-mi. long river. 2-car detached garage offers full height storage. Separate wood shed. New windows & roof (2017); septic (2000); town water. Seamless gutters on all buildings & solid wood doors.